Over the past year, live streaming has emerged as the hottest new digital branding strategy for marketers across nearly every industry. Meerkat and Periscope pioneered the form, bringing the ability to easily and quickly share live videos across social media networks to consumers everywhere. However, Facebook’s latest offering, Live, now promises to break the world of live streaming wide open. Here’s what you need to know. Live streaming’s popularity can be explained in any number of different ways. For one thing, it’s a “natural extension of video marketing,” one of the more popular and effective channels since the beginnings of digital marketing, as Forbes contributor AJ Agrawal explains. It’s also extremely affordable: unlike traditional video content, it doesn’t require a great deal of production or special effects — at a minimum, all you have to do is set up a stream and start filming with your smartphone. While these factors certainly increase your hospital’s chances of seeing a decent return on your investment, the social power of live streaming is what really makes it powerful from a marketer’s perspective. Comments appear live on the user screen, facilitating an immersive social experience between prospective patients, hospital staff, and other community members that encourages further engagement. While Facebook Live is relatively new, many hospitals have already been testing the waters with other live streaming apps. Mayo Clinic, for example, used Twitter’s Periscope to broadcast a live tour of its Historical Suite in Rochester, Minnesota, garnering 466 live viewers and 5,000 likes. "Mayo Clinic has patients from every U.S. state and over 140 countries every year, and we saw the opportunity to help those considering Mayo Clinic get a preview of what they can expect when they come here," Lee Aese, Mayo Clinic’s Director of Social Media, explained. "We also think [live streaming] will be great to offer behind-the-scenes views of some of the unique features that make Mayo Clinic special. As we've explored it further, we see many more opportunities." 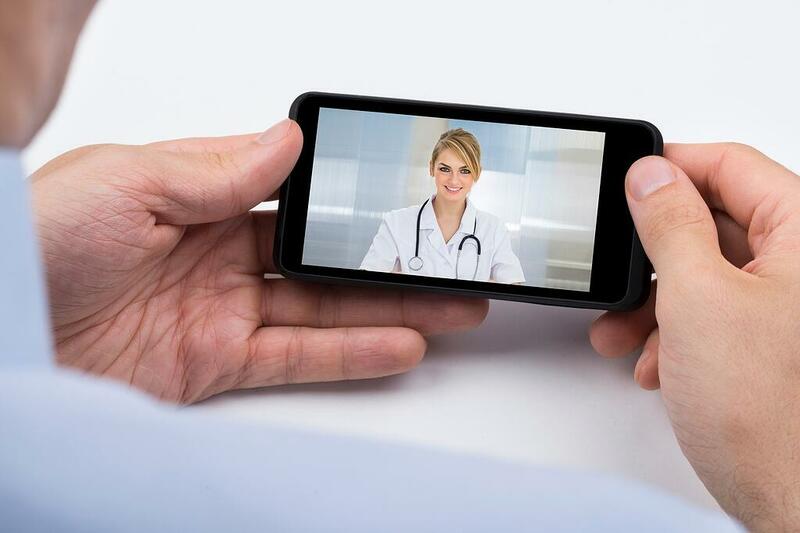 In addition to creating a landing page explaining both Periscope and the purpose of the live stream to prospective patients, Aese and his team upload recordings of the videos to their YouTube channel to extend their reach to patients who may missed the original broadcast. But these platforms aren’t just useful for guided tours — other hospitals across the country are live streaming community outreach events like lectures, fundraisers, and triathlons. Last summer, Ohio St University Wexner Medical Center even broadcast a live achilles tendon repair surgery (no longer available for viewing). Even Mayo Clinic is looking to expand its marketing applications for the emerging tech; according to Aese, they plan to kick off some “Ask a Doctor” and “Day-in-the-Life” profiles in the near future. While many hospitals have already jumped onto the live streaming bandwagon with apps like Periscope and Meerkat, Facebook Live has a number of unique advantages that hospitals should be aware of. First of all, there’s Facebook's almost absurdly large user base — with more than 1.71 billion active monthly users (compared to Twitter’s relatively paltry 313 million), what’s clear is that Periscope doesn’t even come close in terms of captive audience. Moreover, Facebook leverages this massive advantage by notifying its users when people within their network are tuning in to a particular stream, creating a more social form of streaming that results in ten times the number of comments than other comparable platforms. Higher engagement rates and a larger audience are obvious advantages for marketers, especially with a platform so commonly used to spread information. This combined with the affordability and flexibility of Facebook’s promotional tools makes Facebook Live an ideal choice for hospitals and other medical organizations looking to enhance their online presence with a live streaming strategy.